Isn't she lovely, isn't she wonderful in her Wob Dwiyet, isn't she a proud Dominican woman? We think so. The judges of the 2016 Miss Wob Dwiyet Pageant held at the Old Mill Cultural Centre in Canefield last evening agreed. 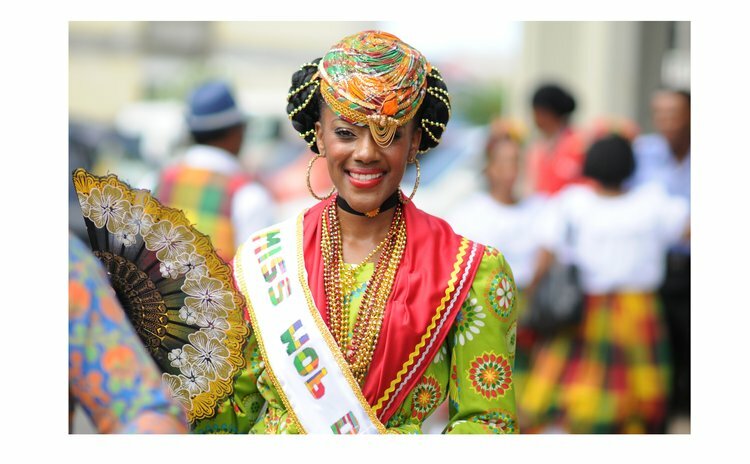 These judges voted to sash lovely Primrose David of Massacre as the 2016 Miss Wob Dwiyet; she outclassed six other contestants in the annual competition, one of the highlights of the Independence celebrations. Primrose won awards for Best Wob and Best Spectacular Wear. Another contestant, Shanice Langford of Kingshill placed second (she represented the South Western District) and Vernanda Mitchel of Petite Savanne placed third (she represented the South). Dahlia Bruno of Bataca, Kalinago Territory (represented the east) received the award for best performing talent. Seven young ladies participated in the pageant.